Luca Grillo’s main area of interest is Latin prose, with a focus on the historiography and rhetoric of the Roman Republic. His first book (Cambridge University Press, 2012) is a literary analysis of Caesar’s Civil War, applying narratological, intertextual and rhetorical approaches to the re-evaluation of Caesar as litterator; his second book is a historical, rhetorical and legal commentary on Cicero’s speech De Provinciis Consularibus. He is co-editing the Cambridge Companion to Caesar (with Christopher Krebs from Stanford University); longer-term plans include a monograph on irony in Latin literature and a commentary on Livy. He has given papers and published articles and contributions on various topics, especially Caesar, Cicero and Virgil. He received his PhD in Classics from Princeton University in 2008, his MA in Classical and Near Eastern Studies from the University of Minnesota in 2003, and his B.A. in Literature and Philosophy from the Università Cattolica in Milan in 1995. As a graduate student he won a one-year Schwartz fellowship at the American Numismatic Society in NY, a summer stipend at the Kommission für alte Geschichte und Epigraphik in Munich, and a graduate teaching award from Princeton University. From 2008 to 2013 he was Assistant Professor of Classics at Amherst College, where he taught Latin and Greek at different levels and courses in ancient civilization, like History of Rome, Life in Ancient Rome and Ancient and Modern Rhetoric. 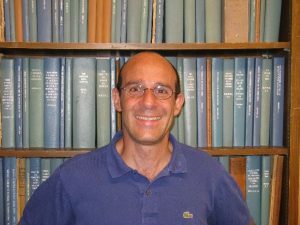 He spent his sabbatical (2010-11) as guest of the Hebrew University (July 2010) and of the University of Göttingen (August 2010-July 2011).